Following the last year’s successful presentation of the innovative project Hotel Megatrends by xenia exhibition, the organiser, Forum, presents Hotel Megatrends by xenia 2019. 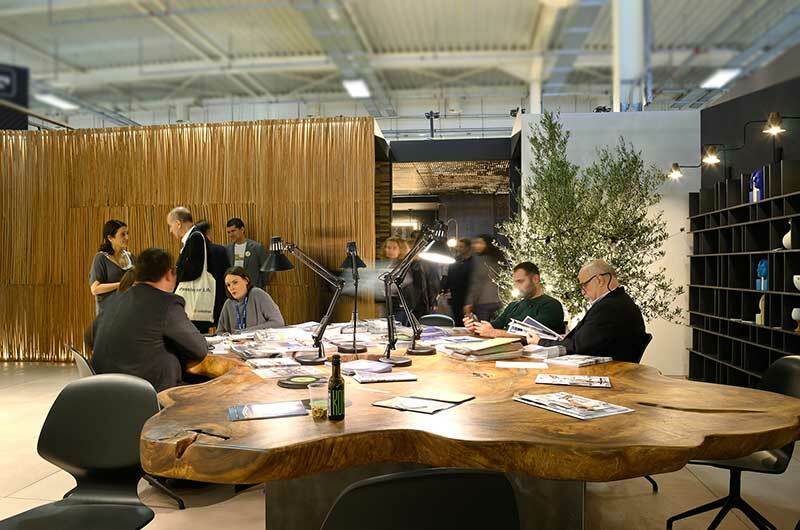 With its central theme of “Innovation and Tradition”, Hotel Megatrends by xenia 2019 makes a dynamic comeback to present itself even more sophisticated, giving solutions and inspiring the full range of visitors of the exhibition! At a time when all major tourism industry executives declare that the strategy of the tourist product should in the future focus on quality but also on the creation of experiences rather than reaching a number of visitors in our country, Hotel Megatrends is contributing to this public debate on the evolution of Greek tourism, trying to highlight the ways in which key but necessary variables such as innovation and modern international practices can be combined, with the roots and our tradition. The purpose of the overall design is to create different concepts of hospitality spaces by recognised architects and designers, responding to the wishes and expectations of the modern traveller. A traveller looking for experiences that are always developed in conjunction with the specific elements of the place they visit, but also through a creative blending process: innovation and tradition / sustainability and technology / wellness and well-being. Just like the 2018 event, in addition to the experience the audience of the show will get through its tour of the structured live installation, it will also have the opportunity to listen to the experts on a range of cutting-edge issues! Right next to the HOTEL MEGATRENDS project, in a specially designed open space stage of 100 sq. m., there will be talks and discussions of important representatives of the tourist industry from Greece and abroad. The aim is to present experiences and views that can significantly affect the future and contribute substantially to the creative redesign of the Greek tourism product. The final topic sections will be announced shortly, although they are not expected to differ significantly from last year’s successful structure: Hospitality Design Trends, Hospitality Technology Trends, Hospitality Wellbeing Trends, Hospitality Investment Trends.